It’s been an awful week: dog dead, family off on vacation, my boss back… an Iliad of woes. Very difficult to write in such an environment. Thus, even a pantser such as I must break down and make some outlines, becoming a plotter, lest nothing be written at all. 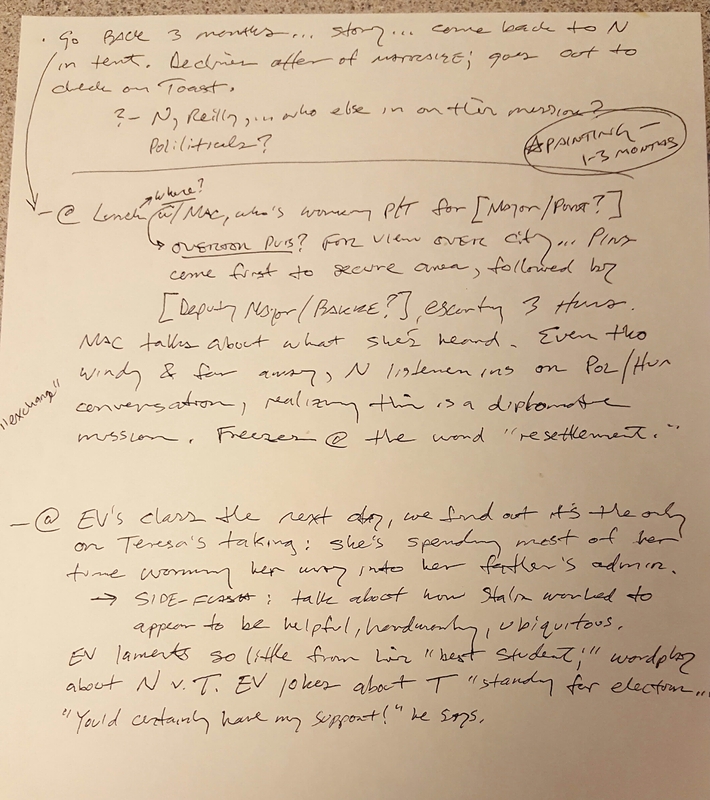 Below the fold is a pic of the notes I made this afternoon; I was able to lay down about 700 words in the evening, but things are in flux. What were I an OCD such as Acire: able to plan an entire month! Two partial days on the heels of tragedy is the best I can do. Content tomorrow… what else is left to me?